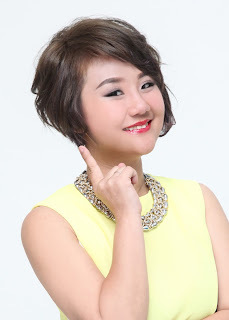 Wendy Pua | Malaysia Chinese Lifestyle Blogger: "The Amazing skincare product - Beauty Talk". "The Amazing skincare product - Beauty Talk"! Look Dull and tired face. treats clogged pores and whitens! 2-3 Mins you can see my face are full with bubble. be be pop pop, so itchy! then rest for another 10 mins. my eye bag/Face Shape are really lifted! you are see the different from the picture below. never have any photoshop. side by side. the Beauty Talk OxyMask are really amazing. Even Taiwan Niu Er Also recommended this Beauty Talk OxyMask ! Human red blood cells contains [hemoglobin], which transporting oxygen and carbon dioxide. The Perfluorodecalin functions same as our hemoglobin, it carries “oxygen”. This ingredient has been used in the skin care products on the world with patent in many counties. Beauty Talk OxyMask using Perfluorodecalin (Oxygen Carrier) penetrates deep into the skin layer to increase the oxygen level, and our skin cells will possess the amazing self-healing to gain beauty naturally! OxyMask also contains nutrients such as Sodium Hyaluronate, Hayahibara Trehalose, Saccharide Isomerate and etc, which provides whitening, firming, moisturizing and softens the appearance of wrinkles effects. Even though Perfluorodecalin may bring oxygen into our skin, but the protection from the outer layer skin will blocked any nutrients enter to skin easily. By using “liposome” bio-technology, this problem can be solved! The structure of liposome is similar to our biological skin cells, oxygen and nutrients penetrate easily into deep layers of skin without causing any irritation and optimize the absorption. A laboratory study proves that the oxygen level in the skin increases by 10mmHg, 60 minutes after application of OxyMask! The skin’s moisture is enhanced by >60% and the skin’s smoothness by 28%. A long term study has been shown that continuous use increase of the moisture and a clear visible reduction of wrinkles. This brand new bubble facial mask improved the disadvantage of the paper mask! [OxyMask] pumps oxygenated essences into skin and creates oxygenated bubbles! Now, you can experience the “bubble bath” while inhaling the magical pure oxygen! High level of oxygen improves skin texture effectively! Repairing, cleansing, moisturizing, nourishing, firming, whitening, gently exfoliating effects all in one by just OxyMask! I completely agree with you that this is a great product. custome writing It helps to cleanse and moisturize the skin. I really like him for it.